Learn, explore, and have a ton of fun on this quick 2-day Dallas adventure! Dallas Zoo - The oldest and largest zoological park in Texas, the Dallas Zoo started simply with two deer and two mountain lions. Today, the park boasts 106 acres of stunning landscaping, beautiful exhibits, and over 2,000 animals representing 406 species! They've certainly come a long way and because of this zoo's excellence, it is a highly recommended attraction that your group is bound to love.The Dallas Zoo is split into two zones: ZooNorth and the Wilds of Africa. ZooNorth is the site of the park's original section and contains modern exhibits such as the Otter Outpost as well as the endangered tiger habitat, Children's Zoo, Koala Walkabout, and Bug U!, an exhibit devoted to creepy crawlies!The park has won several awards for their conservation efforts, research programs, and for their innovative habitats. There are a number of educational experiences, events, camps, classes, and attractions at the park that may give your student group a better understanding and more fun experience with the animals, as well! Nasher Sculpture Center - Welcome to the Nasher Sculpture Center, ‘one of the finest collections of sculptures in the world’. This award-winning art hotspot was built in 2003 to continue the legacy of Patsy and Raymond Nasher, a couple whose passion for modern and contemporary sculpture is palpable to any of those who have visited them. Nasher Sculpture Center is located on Flora Street in the heart of the Dallas Arts District, holding both indoor and outdoor galleries, an auditorium, and education and research facility, and even an onsite cafe and store. Discover the fantastic contemporary sculptures all around on your own, with over 300 pieces total here including artists such as Calder, Hepworth Matisse, and even Picasso. Before you go stop at the ‘Best Museum Store’ in the state (D Magazine) or grab a bite to eat at the onsite cafe inspired by Wolfgang Puck. The kids will love the seasonal sandwiches, soup, and salads served here, and it’s budget friendly too! George W Bush Presidential Library and Museum - Head to University Park in Dallas to find one of the most visited attractions in the region, the George W Bush Presidential Library and Museum. Located on Southern Methodist University’s campus you will find this astounding archival museum housing artifacts of the George W Bush Presidency, over 43,000 gifts received, and even a full-size replica of the White House's’ Oval Office.Open 9 am - 5 pm on weekdays and noon - 5 pm on Sundays, this museum provides the perfect opportunity for your student group to learn more about the presidency, judicial system, and history of George W Bush all at once, the perfect social studies or politics immersion experience! Sixth Floor Museum at Dealey Plaza - When it comes to authentic local history, it doesn’t get much better than this! At this spot you will find an excellent collection of ‘comprehensive exhibits on JFK’s presidency and assassination at the site of the sniper's nest!’.Your entire group will love the official ‘Group Tour’ experience while here, complete with discounted admission, a 90-minute tour time, bus loading and admission, and Museum Store shopping time. The tours will take you through the main exhibit ‘JFK and the Memory of a Nation’, as well as the special and traveling exhibits on the seventh floor, such as the current ‘Amending America: The Bill of Rights’ exhibit. ‘Explore the life, assassination, and legacy of John F Kennedy within a context of 1960’s history and culture’ through rich multimedia experiences which encourage cross-generational community-fostering interest, knowledge, and understanding.Save enough time toward the end of your visit to explore the award-winning Museum Store and Cafe, the store featuring several items inspired by the 1960’s! 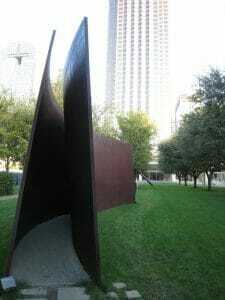 Pioneer Plaza - What better way to start your Dallas adventure than at Pioneer Plaza, the large public park in Convention Center District, located centrally in downtown Dallas. This is a heavily visited tourist spot that represents the history and spirit of Dallas, and of Texas in general. This spot is so popular, in fact, that it is second only to Dealey Plaza as far as downtown Dallas attractions go. Your group will find Pioneer Plaza along Young Street, the park itself featuring a highly popular bronze statue set that is very hard to miss, plus native Texas plant life and other natural features.The large bronze sculpture here depicts three cowboys driving a herd of longhorn cattle, a truly powerful work of art representing this state’s beginnings. By celebrating the trails and settlers of the past the spot also celebrates the innovation and future of the city.Take a walk around the area and enjoy the native flora, natural stream waterfall, and even man-made cliffs! Shenaniganz - Welcome to Shenaniganz, a super entertainment center located in Rockwell, Texas, just about 30 minutes away from downtown Dallas. This fun spot will be worth the drive to end your day, Shenaniganz boasting the title of ‘experts at handling busloads of kids and teens with crazy levels of energy’, meaning both the students and the chaperones will get a fun break from the travel routine! Shenaniganz is the place where you can ‘have fun with your food’, a half restaurant and bar, half entertainment complex. Enjoy bowling, mini golfing, go-karting, or playing lazer tag while here, that is, after you enjoy a delicious dinner from Rozie’s Grill, of course. Rosie's will provide your group with all the best in pub foods, from extra cheesy pizza and spicy wings to gourmet sandwiches and salads. There will be something for your whole group to enjoy here, plus you can get special ‘Food + Fun’ combos, allowing you to save on your meal and game card! GeO-Deck at Reunion Tower - Welcome to the most popular landmark in Dallas, Reunion Tower. This iconic observation deck features regular light shows, breathtaking 360-degree city views, two different onsite restaurants, and even a gift shop. This is both an entertainment and education stop, teaching you much about this tower and community in general while also keeping you highly interested the entire visit. Groups typically spend about two full hours here, between enjoying the views, learning new information, and relaxing in the onsite cafes.Once inside the tower during your visit, you will take an elevator up 470 feet to the observation deck, the site giving you the absolute best panoramic views of the city, high definition zoom cameras, interactive touchscreens, telescopes, and even outdoor viewing opportunities. You will be able to see miles in any direction here, day or night. There are several new interactive experiences here to enjoy as well, such as the Reunion Tower Constellation Project, a series of touch monitors in which you can add your name and geographical information to a star!